How often have you snagged a sleeve, a jacket tail or even a necklace going about your day at the office? What can be a minor annoyance for most of us can be a dangerous, maybe even deadly hazard for people working in certain industries where they work with heavy machinery. Accidents in the industrial workplace are reduced by form fitting clothes, short sleeves and strict regulations but what about ID? 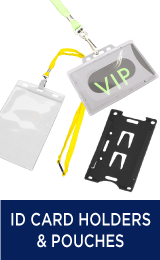 A necessary item that employees must keep on display, and using a regular lanyard could put them at risk. This is why Custom Lanyards Canada offers lanyards with an adjustable length for those who may need them. An adjustable lanyard is a great solution to needing identification without compromising safety as they can be shortened, greatly reducing the chance of them getting caught. They are an ideal purchase for any company working with indoor or outdoor machinery, but their uses do not stop there! This product is a great way of reducing the likeliness of being caught up not only by machines but other people. Medical personnel often have to lean over patients both in regular and emergency situations and the last thing they need is a lanyard touching the person they are trying to treat, risking contamination or even being grabbed by the patient. 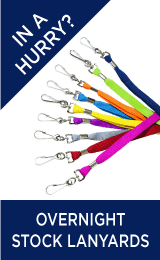 Prison staff, schools, even activity centres – if your employee has a high chance of bodily contact with others, these lanyards are a great choice. They could even be of use to people who work with animals because no one wants Fido snagging their lanyard and pulling it off! This product is also an awesome idea for anyone working in the food industry as whether you are packing produce behind the scenes or out front prepping a customer’s order, sanitation is a must and no one wants to see their barista’s name tag dipped into their latte. Using an adjustable lanyard not only decreases the risk of cross contamination but also looks professional to the health conscious public who are undoubtedly watching their food being made with eagle eyes. You wouldn’t want to end up as another one of the many shocking articles about poor hygiene standards! The versatility of this product is also a great choice to the purchaser who wants to cater to every shape and size, not just the generic masses. Conferences bring a huge range of people and one lanyard does not fit all. 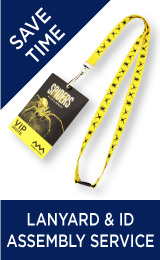 By choosing an adjustable lanyard you are showing those important clients and potential customers you care about the needs of the individual and their personal comfort which is a great step to getting that extra contract or connection your company needs. To sum it up, a branded safety lanyard gets your name out there, gets people noticing you and shows the world you are savvy enough to plan for every possibility! Adjustable safety lanyards can be a perfect way to not only keep your employees safe, but further advertise your company. With highly visible writing along the lanyard length, people can easily see your name or logo even from a distance, and being closer eye level means it’s even more likely to be noticed! 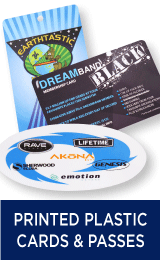 Custom Lanyards Canada also offers a wholesale discount to resellers on custom printed lanyards, making this already low cost item even more affordable, and passing those vital savings on to your business. Our branded safety lanyards come in a base range of over 15 colours but if you don’t see what you need (hello pale lemon yellow with a hint of attitude) then choose from our complete Pantone colour range! We also offer a huge selection of fittings to cover every need, from standard dog clips to sourcing custom clips because we understand that getting exactly what you want at an affordable price is essential to you. Sacrificing safety for cost is not something anyone should have to do, it puts people at risk and companies in danger of bad PR or even lawsuits. 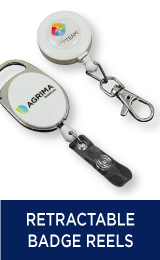 With our adjustable branded lanyards you won’t have to face that dilemma and can rest easy knowing your budget and personnel are well cared for. So what are you waiting for? Contact us today for a no obligation quote plus free artwork mock up and find out just how affordable safety really is!